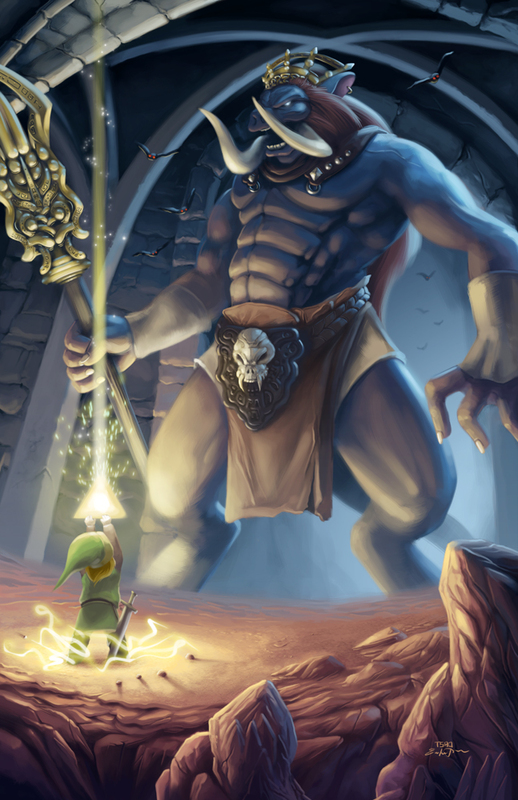 This scene is when you first enter Gannon’s (not a typo) chamber and Link holds the completed Triforce above him. During my first play through of the game, my hands were sweaty when I saw this final boss after hours of navigating his maze-like dungeon (no Gamefaqs back then!). I took liberties in the design here so in b4 omg inaccurate 😛 I borrowed a lot of Gannon’s design off his more recent incarnations.